Back in 2018 we have discussed about things we know about Sekiro Shadows Die Twice so far. For those who still haven’t heard, Sekiro Shadows Die Twice is the new upcoming title from FromSoftware – the same folks who brought us the incredible Demon’s Souls, Dark Souls, and Bloodborne. Thanks to Game Informer, we have learned new information about this exciting game. So with no further ado, let’s continue checking out what we know about Sekiro Shadows Die Twice so far! To be fair, this is not something exactly new since we have heard FromSoftware hinted a little bit about the game being pure single-player experience. But with their recent interview with Game Informer, we now understand more about why the developer chose this direction. For quick recap, FromSoftware fans definitely know that online-multiplayer is one interesting aspect of Souls-Borne games. These games feature a seamless, somewhat unique approach in terms of online element: You can summon other players to your world so that they will help you surpassing the challenge ahead. Or, you can suddenly be “invaded” by another player whose mission is to make your day worse. It is a rather simple, yet fascinating online-multiplayer concept which many Souls-Borne fans know and love. But in Sekiro Shadows Die Twice, it will not feature online-multiplayer, whatsoever. At first, this may sound a bit disappointing for those like PvP in Souls-Borne. However, the developer has good reason for this. Here’s the thing: when a game includes online-multiplayer, the developer will have to consider additional balance in terms of gameplay such as weapons, enemies, difficulty settings, and even world building. And while this is not to be a big issue for previous Souls-Borne games, it seems not to fit (and interfere even) in FromSoftware’s vision for Sekiro Shadows Die Twice. Without any restriction in terms of multiplayer balance, FromSoftware actually has much more freedom to create a brand new open-world (or semi open-world) with seamless connection between each section of the map. This is especially important given the fact that mobility will be a big thing in Sekiro Shadows Die Twice. And talking about creating a new world and mobility, it’s time to get into the next point: the game’s map. What he said is really fascinating and in fact, FromSoftware actually demonstrated this with their gameplay demo in 2018. 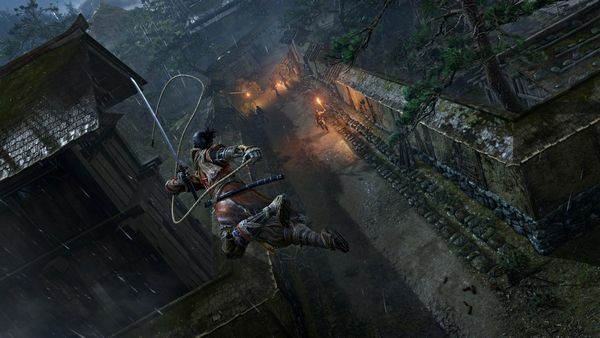 Based on the demo, we can see that Sekiro Shadows Die Twice offers players an extremely level of freedom. By featuring the grapping hook, players now have much, much better mobility as they can jump, lunge to many different areas. This fits the game concept perfectly since players are controlling a shinobi/ninja. Players will often find themselves spying the area on high ground. Similar to previous Souls-Borne games, players can often see and analyze what’s happening around an area if they pay attention to the surroundings. By providing players more freedom, it allows them to use the environment to their advantage; they can discover different paths leading to the same location, and secret paths which can lead them to some sweet tools and items. To simply put, the potential here is huge! By the way, remember back in Souls-Borne games when you are automatically die when falling into water? Well, let’s rejoice because we can swim in Sekiro Shadows Die Twice! Players won’t level up their character… but there will be a skill-tree! 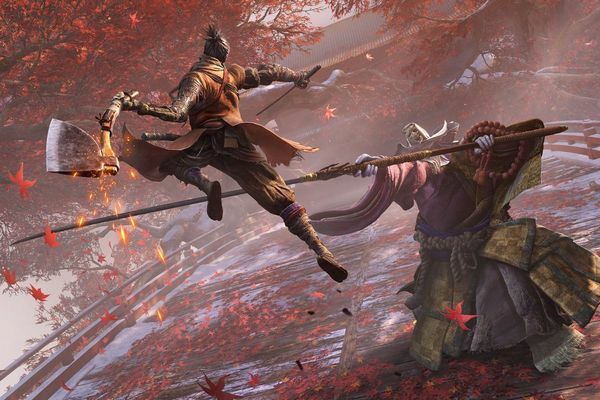 Another big change in Sekiro Shadows Die Twice is that: players will no longer level up their character and instead, they will have a skill-tree. And by the sound of it, this system looks really awesome and promising. Based on what we have heard so far, it seems that players will still gain experience point and gold after killing enemies. When experience point reaches to a certain threshold, players will gain a skill point to invest on skill tree, which can be done at the Dilapidated Temple (which is basically the hub). At the moment, FromSoftware hinted that there will be 3 main skill categories: one focusing on samurai arts, one focusing on shinobi arts, and one focusing on the prosthetic arms. Samurai arts seem to focus on swordplay and head-to-head combat. Shinobi arts seem to focus more on crowd control and evasion. Prosthetic arms seem to focus on providing new abilities to the protagonist’s mechanical arm. For easier visualization, we imagine this skill-tree system to be somewhat similar to Nioh, which also features skill-tree system offering various techniques, abilities, and passive. 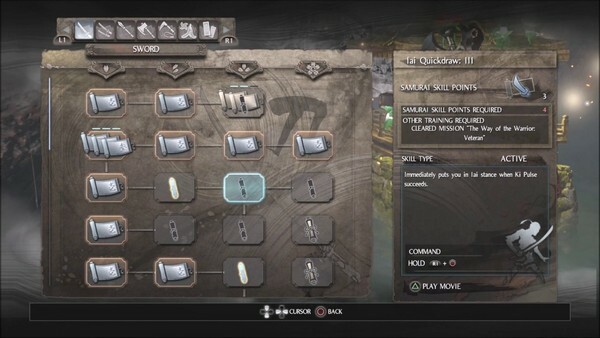 The skill tree will also offer both passive and active abilities, and just like Nioh, players seem to be able to allocate their point freely across 3 categories to suit their play-style. And then there is an interesting gimmick: in order to unlock certain abilities from the skill-tree, players will have to find the required items scattered throughout the world. It’s hard to say whether this will be good gameplay mechanic or not. For now, we believe it is a great idea since it encourages players to explore, and exploration is one thing FromSoftware is really good at. 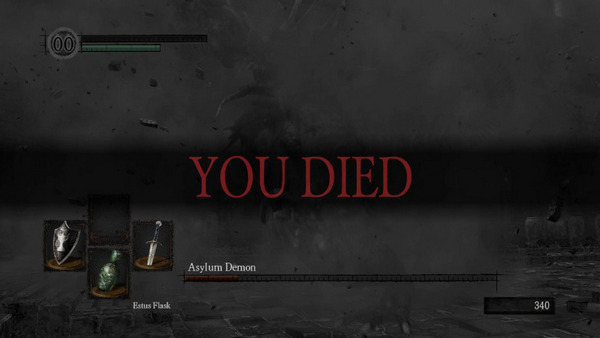 One “alluring” aspect of any Souls-Borne game is how brutally difficult it is. This also applies to the death mechanic which forces players to lose all their Souls (or Blood Echos in Bloodborne) upon death. Every time players die, they have to face another pressure of recovering their dropped Souls. If they die two times in a row without being able to recover the dropped Souls, they will lose them forever. Such death mechanic is brutal indeed, yet at the same time, it is also what makes the game more fascinating and challenging. Players cannot just rush in mindlessly in every battle. They have to think, learn the environment and understand enemies’ behavior. 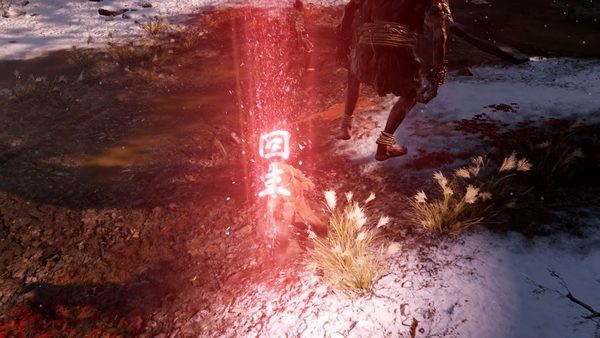 So does this mechanic translate into Sekiro Shadows Die Twice? Well… weirdly enough, players will not lose their XP or gold after dying in this game. Naturally, this rises up a question regarding the difficulty of this game. 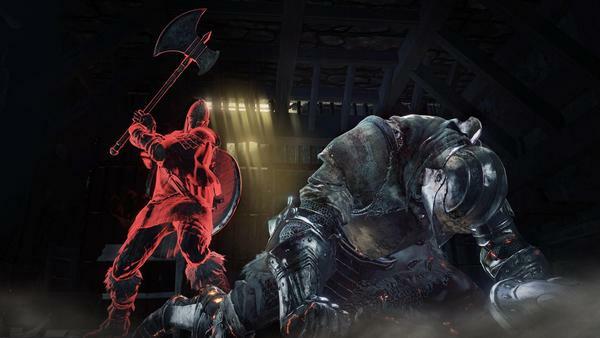 So far, FromSoftware only shared that Sekiro Shadows Die Twice will be harder than any previous Souls-Borne games. In addition, they also hinted that death will have a detrimental effect; however, they still refuse to share this knowledge at the moment. Regardless, one thing we can sure is that Sekiro Shadows Die Twice will stay true to Souls-Borne concept: difficult, brutal, yet extremely satisfying when players overcome the challenge. 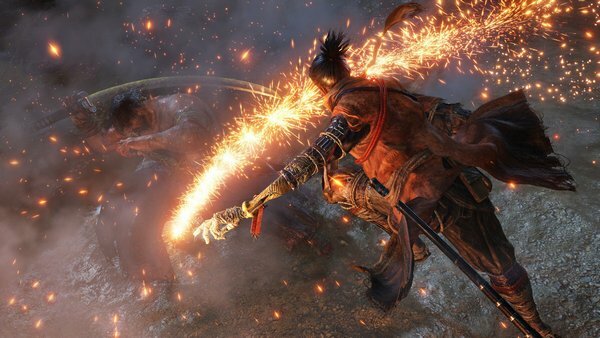 Though it is rather too soon to say this but, we still firmly believe that Sekiro Shadows Die Twice will be huge blast and we can’t wait to experience it for real on March 22, 2019. For now, thank you and stay tune for more news in the future!